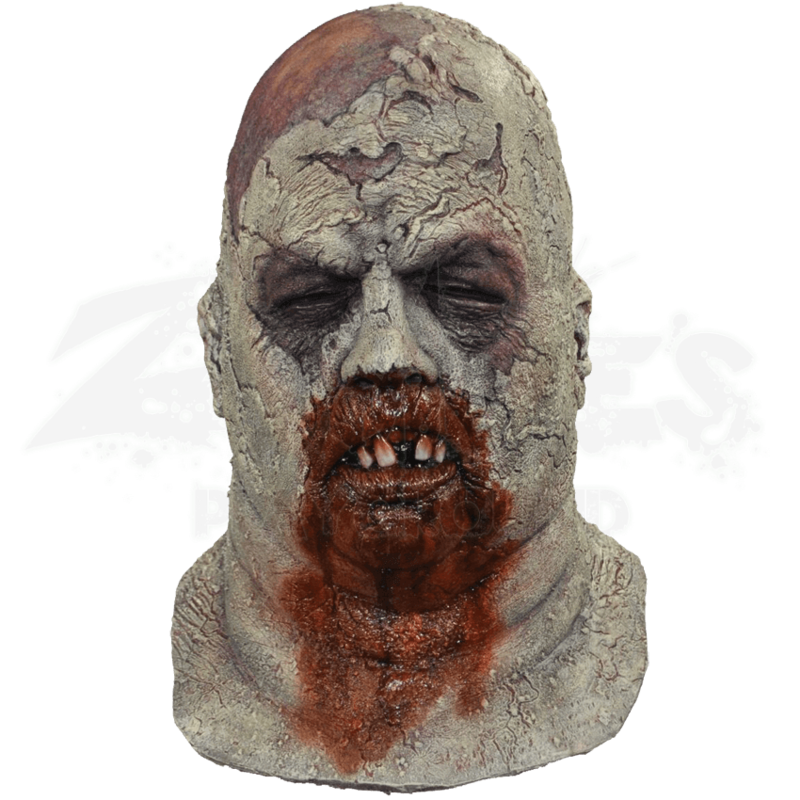 The Fulci Boat Zombie Mask is based on an iconic zombie from of the most influential horror movies ever, Zombie 2 by Lucio Fulci. Using many screenshots from the film, this mask was molded to be the most exact Boat Zombie mask ever. Fans of the cult classic movie will recognize this fat, bloated zombie instantly. His rotting skin is incredibly detailed and cracked everywhere, even revealing a large portion of his skull that looks to be engorged with blood. A large trail of blood surrounds his mouth and travels down the neck, giving the appearance that he just finished a nice meal of human flesh. This mask is made from high quality latex and is designed to cover the head and neck when worn. Collectors will love this piece and it makes a great choice for zombie events and Halloween costumes. 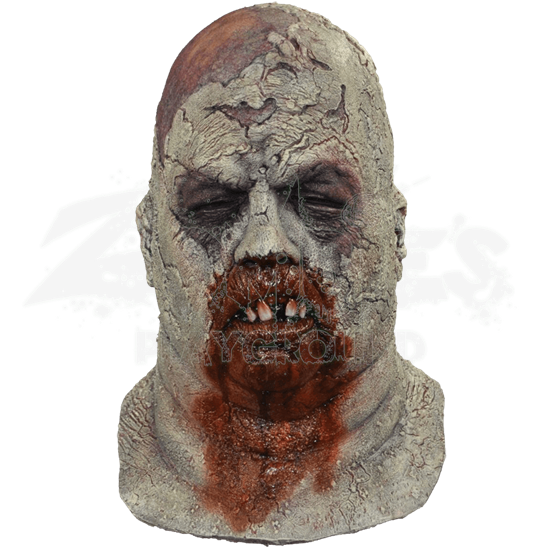 Make sure you get your hands on this mask from the cult classic Zombie 2 by Fulci.